Do you enjoy doing freelance work? Me too. I am one of the fortunate ones that turned freelance writing into a career. One of the most challenging problems you can face doing freelance work is acquiring enough clients to achieve a steady workflow and source of income. To make it easier for you, here are some key tips and tricks that you should consider when sending out job proposals. Whether you’re just starting out or you’re already an experienced freelancer, these techniques will increase your chances of landing the jobs you bid for. Here are 5 specific proposal writing ideas to make sure yours stands out from the rest. As a freelancer, you may be tempted to type up a quick “one size fits all” template to send out to all potential clients. It’s faster, it’s easier, and it saves time, right? Not necessarily. It may be using online project proposal templates that’s causing potential clients to skip over yours. Most clients want you to be personable — they want to know you’re as passionate about their project as they are. If your proposal isn’t personalized it won’t get you jobs. You may start skipping the job description and apply robotically. The template may include verbiage that doesn’t pertain to your project. Among your list of qualifications and portfolio links, consider mentioning why you’re the best candidate to work on it. Here are more reasons you shouldn’t use freelance proposal templates. It’s important to realize that a proposal to work on a freelance project isn’t the same as a resume. While it’s great to list your achievements and the reasons you may be a good fit for the job, too much info can be off-putting for an individual looking to hire quickly. Keep your proposals short: Long proposals won’t convince anyone, as no one will read them. Capture the client’s attention fast: You have just a few seconds to win your client’s attention, so you need to be witty in the first two or three lines. Add samples to the beginning of your application: The most important thing your clients are interested in is your work samples. Answer the “why should I work with you” question: Make sure you’re selling yourself by showing what you do that makes you the best choice for the job. Try to keep your responses brief and friendly while still including all of the information necessary to make a sufficient case for getting the job. Here’s how to write a project proposal without writing too much. Make sure that your experience is relevant to the freelance project you’re interested in. Have a portfolio piece for each service you provide. Write a well-written description for each portfolio piece. Update your portfolio with the latest screenshots and links. Delete or revamp old projects that don’t reflect your skills as a freelancer. 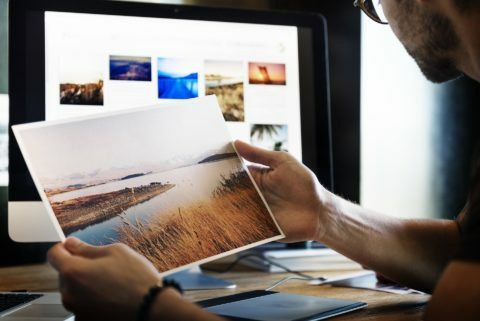 If you don’t land the job after creating your freelance portfolio, the examples are useful in showing diversity in your freelance work offerings. Here are 8 great examples of great freelance portfolios. There’s a tendency among many freelancers to provide as much information as possible to the potential client in the hopes of seeming more competent or accomplished. Withhold information that isn’t specifically requested in the job listing. Provide an hourly rate after discussing the details of the job. (Talking price before details may cause a potential client to feel that money is a more pressing issue to you than the details of the assignment). Include projects you work on during your “free” time. They likely showcase your hobbies or passions and give a good reflection of your true talents. Build initial respect and confidence to establish a great freelancer/client relationship in the future. Here are 9 freelance work proposal mistakes that freelancers often make. No one wants to a work with an employee or contractor who isn’t truly interested in the job they’ve bid for. Responding sluggishly to phone calls or emails may indicate a lack of interest. If you receive a follow-up reply after sending out a freelance proposal, try to respond promptly — preferably within the same day. A quick response not only indicates an interest in the job, but also demonstrates a sense of responsibility. This allows the client to make immediate judgments about your sense of professionalism and promptness. Here are some things you should include in your proposal acceptance contract. Realizing that marketing yourself to potential clients is one of the most challenging steps when turning freelance work into a career is the first step in good proposal writing.